Robert E. Howard, writer of the Conan series of stories, was friends with H. P. Lovecraft, writer of the Cthulhu series of stories. The two wrote letters often. So, do you think that some of Lovecraft's style would find its way into a Conan book? I think you'd have to look no further than Yogah of Yag and see that it did. Originally seen in Tower of the Elephant, you'll soon be able to bring Yogah to your own tabletops in the Conan board game. Also, crossbowmen. These two sets are to be the first two expansion packs released for the game. Yogah is a new Hero release, giving you another option as who you want to represent on the battlefield. 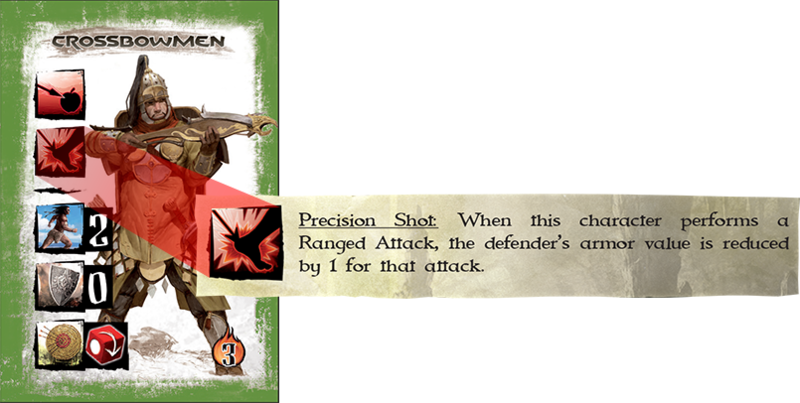 Meanwhile, the Crossbowmen set will give the Overlord player more ways to stop the heroes from completing their tasks (mostly via bolts-to-the-face). Each set will bring you new minis, as well as new rules to help expand your game. You can expect to see them on store shelves early next year.